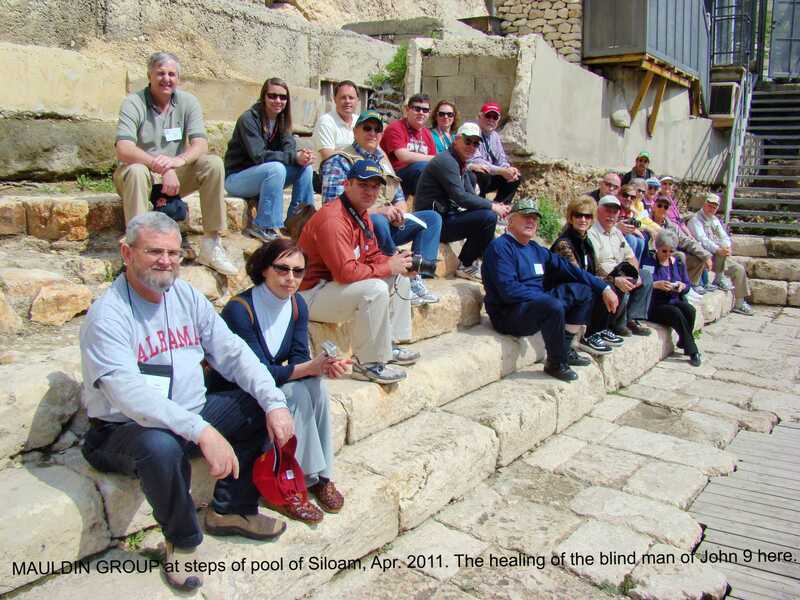 One of the most exciting of recent archaeological discoveries in Israel has been that of the pool of Siloam. I first saw this site in fall of 2005, when it was still “freshly” excavated. This photo illuminated the text of John 9, where Jesus healed the man born blind. Jesus spat upon the ground, made clay of the spittle, anointed the man’s eyes and told him to go to the pool of Siloam and wash. He did so, and received his sight (John 9:1-7). All manner of pressure was brought to bear upon him by Jewish authorities to renounce Jesus as a sinner, but he refused to cave in. “One thing I know: that though I was blind, now I see” (John 9:25). Now Jesus performed many other miraculous signs in the presence of the disciples, which are not recorded in this book. But these are recorded so that you may believe that Jesus is the Christ, the Son of God, and that by believing you may have life in his name (John 20:30-31). There is great value in on-site biblical study. I previously posted on the Hezekiah’s tunnel which emptied into the pool of Siloam here and here. My friend Ferrell Jenkins has recently return from conducting a tour in Israel, and then staying on several days to take more photos. I’m looking to seeing those in the near future here. This entry was posted on Saturday, May 11th, 2013 at 1:50 PM and is filed under Bible History and Geography, Bible Study, Israel, Jerusalem, New Testament, photography. You can follow any responses to this entry through the RSS 2.0 feed. You can leave a response, or trackback from your own site.